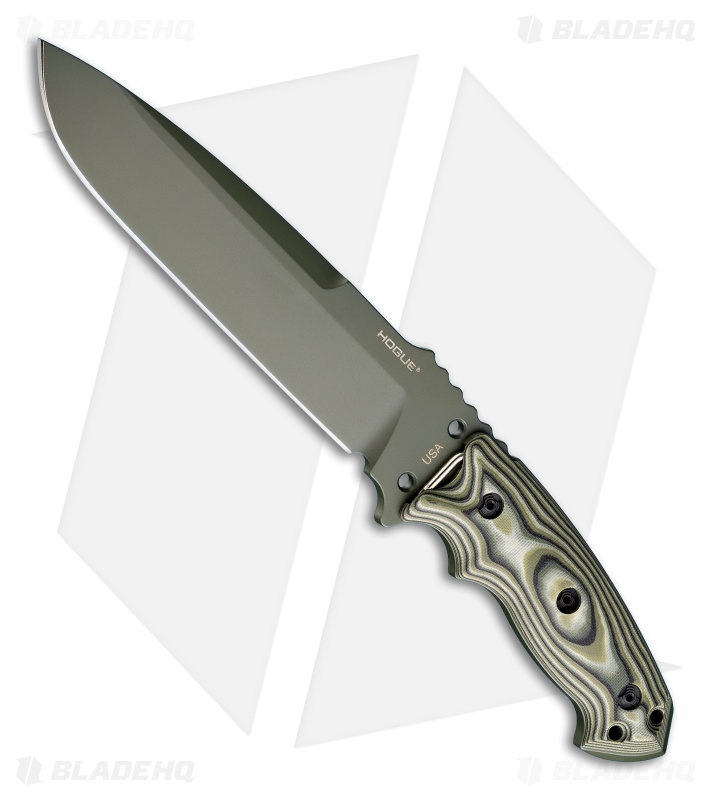 Be sure to view our other Hogue Fixed Blade Knives in stock! 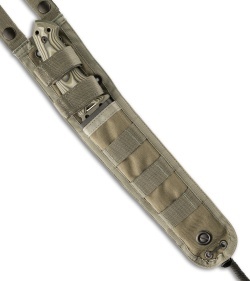 Hogue, well known for their gun grips, has ventured into the knife world. 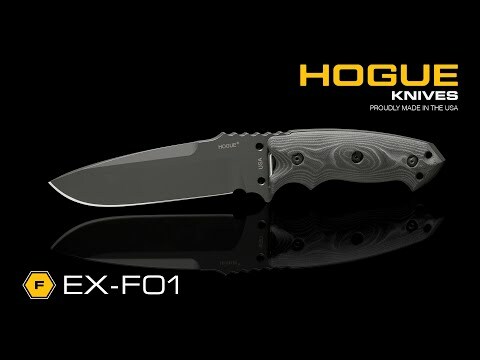 Hogue Knives' second offering in the Extreme Series is the EX-F01 Tactical Fixed Blade Knife, designed by Allen Elishewitz. The EX-F01 knife is tough, with a 1/4" thick A2 tool steel blade this tactical fixed blade isn't the type to let you down. The 7" KG Gun-Kote finished drop point blade is full tang with an extended breaker at the base. The shape and contour of the handle offers extreme comfort and grip with the index groove below and spine notches up top. 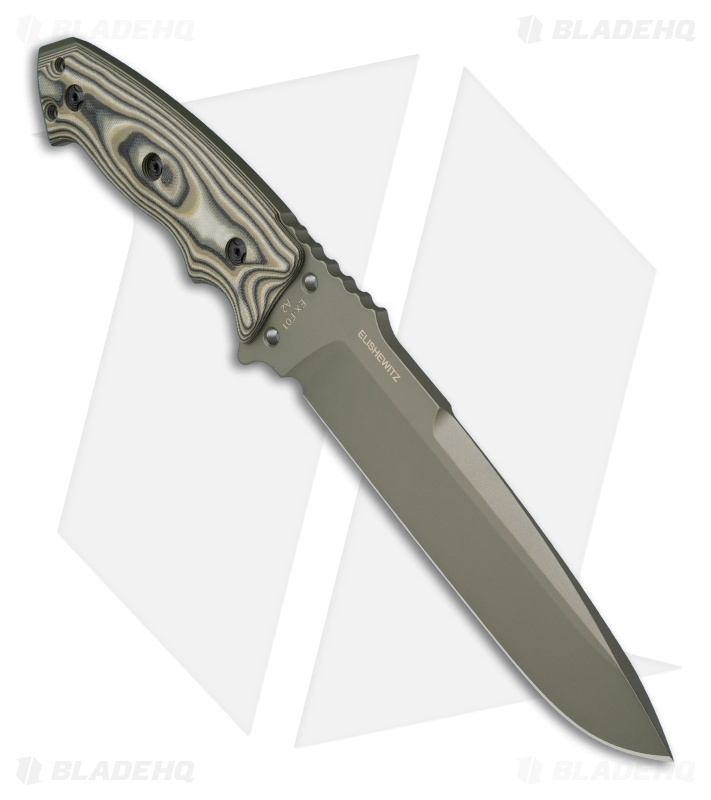 The green G-10 handle scales feature a stylish "G-Mascus" pattern. Securely tucked on the front side of the handle is a Torx wrench so you can remove the scales, revealing a little storage inside. The EX-F01 includes a ballistic nylon sheath with a MOLLE compatible back.